The city’s multistep minimum-wage law, heading to $15 for all by 2021, has lifted up some low-income earners, shaken up some business models and stirred up controversy while prompting similar moves elsewhere. 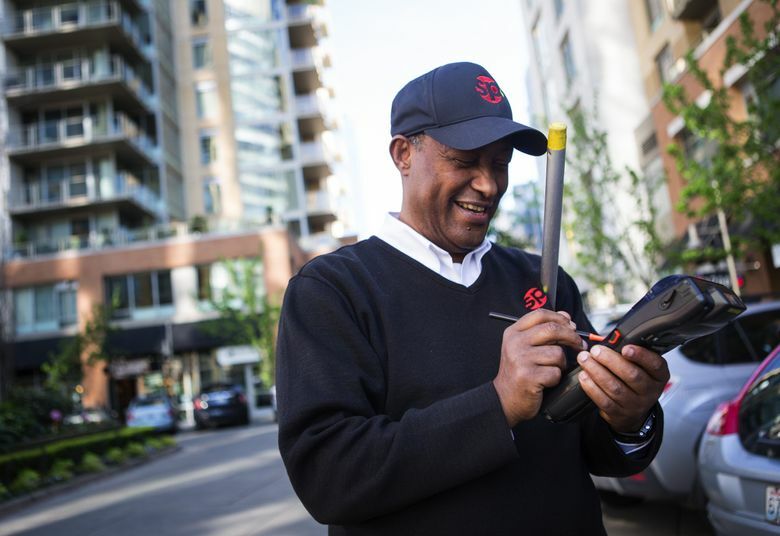 A year after Seattle’s minimum-wage increase went into effect, Tegegne Desta Yigzaw is bringing home larger paychecks. Yigzaw began earning $13 per hour Jan. 1 at his 40-hour-a week job at a parking garage in South Lake Union. When he started working there 10 years ago, he was making only $8 per hour. Only a year into Seattle’s journey toward a $15 minimum wage, local economists tracking the impacts say it’s too early to make conclusions about how the city’s minimum-wage “experiment” is going, but so far, critics’ dire predictions of mass job loss have not come true. With only one year in and only an incremental uptick in wages, he said, it’s too early to predict the long-term impacts. Starting one year ago, Seattle employers were required to pay $10 or $11 per hour, depending on the number of employees. As of Jan. 1, the minimum went up to $10.50 to $13 per hour, depending on head count and whether employees receive tips or benefits. By 2021, the minimum for all types of employers will hit $15 per hour. When the ordinance was approved in 2014, city officials estimated it would affect 100,000 workers, roughly one in five workers in Seattle. The ordinance has been hailed as an experiment that could influence the rest of the country. Other major cities including New York, Los Angeles and San Francisco have also implemented minimum- wage increases or are considering them. The California Legislature on Thursday approved raising its statewide minimum wage to $15 an hour by 2022, and New York’s governor has called for a statewide $15 minimum. Meanwhile, in Washington, an initiative is in the works for next November’s ballot to raise the state’s minimum wage to $13.50 per hour, up from $9.47. Washington, New York and California are among the 29 states that already mandate a higher minimum wage than the federal rate of $7.25 per hour, which hasn’t changed since 2009. “Seattle played an important role in catapulting the ‘Fight for 15’ movement,” said Arindrajit Dube, an economics professor at the University of Massachusetts, Amherst. What observers are watching is whether a minimum-wage hike can help workers without hurting job growth. “If job growth is weak, then other places will have second thoughts about pushing the minimum wage quite as high,” Dube said. Yigzaw, who doesn’t receive benefits from his employer, said the additional pay has provided “a little bit of relief” in keeping up with living expenses and helping support his daughter, who attends community college. As an immigrant from Ethiopia, he said he is fortunate to hold a full-time job because he doesn’t feel like he has many options. A 31-year-old woman who works part time at a Dollar Tree store in Seattle’s University District said the bump to $13 in January has helped her pay her rent and not have to visit the food bank as often. The woman, who declined to be named, said the increase has “been helpful for everybody” she works with. “I don’t have to struggle as much,” she said. For other workers, the rise of the minimum wage has felt more like a downgrade. Take Stephen, a customer-service representative in Seattle’s University District who declined to provide his last name. He’s earning the same $13 per hour with benefits that he did four years ago. Stagnant wages are also a concern for people in managerial or supervisor roles. That includes Mara Vannor, who is a manager at a store in the U District with about 40 employees and who earns $14.25 an hour. When the pay for lower-level roles bumped up to $13 in January, her wages stayed the same. She’s also noticed upper management not replacing workers who leave, and demanding more sales from the staff to make up for rising costs. “In some instances, the entry-level people are getting paid the same as people who have been there longer and are supervising those workers,” the UW’s Vigdor said. Another choice many businesses are wrestling with is whether to raise prices to make up for higher labor costs. Based on surveys with hundreds of businesses, Vigdor’s team of researchers has found that other than restaurants, most employers have not raised their prices significantly, but that could change once the ordinance is fully implemented. Restaurants and retail stores are among the largest employers of minimum-wage workers. Some restaurants have raised prices, added service fees or done away with tipping to adapt to the higher minimum wage. Many Seattle business owners are also dealing with rising rents, and higher health-care costs for employers that offer it. “We want to be careful about attributing regular turning in the labor market to the minimum wage going up, if it would happen regardless,” Vigdor said. The UW researchers plan to release a detailed analysis in June of how wages, hours and jobs have been impacted since the ordinance took effect last April. They will analyze data from the state’s Employment Security Department, which tracks wages and hours for each worker in the state, as well as tax filings. Researchers expect to be able to identify patterns, such as whether worker hours were significantly cut back or employers are hiring fewer people. The lack of precise data hasn’t stopped outside observers from drawing conclusions. The American Enterprise Institute, a conservative think tank, published an analysis in February stating that Seattle’s minimum-wage increase had caused the city to lose 11,000 jobs — the steepest decline since the Great Recession. Vigdor and Dube disagree with that analysis because it’s based on a U.S. Department of Labor survey that uses a small sampling and looks at how many residents of an area are employed — not how many jobs a city has. Another critic, Steven Neil Kaplan, an entrepreneurship and finance professor at the University of Chicago, said raising the cost of labor will end up hurting low-wage workers more than helping them because it will lead to job loss. Employers will look at how to reduce head count, use technology to replace employees, hire less skilled workers or raise prices to mitigate higher labor costs. 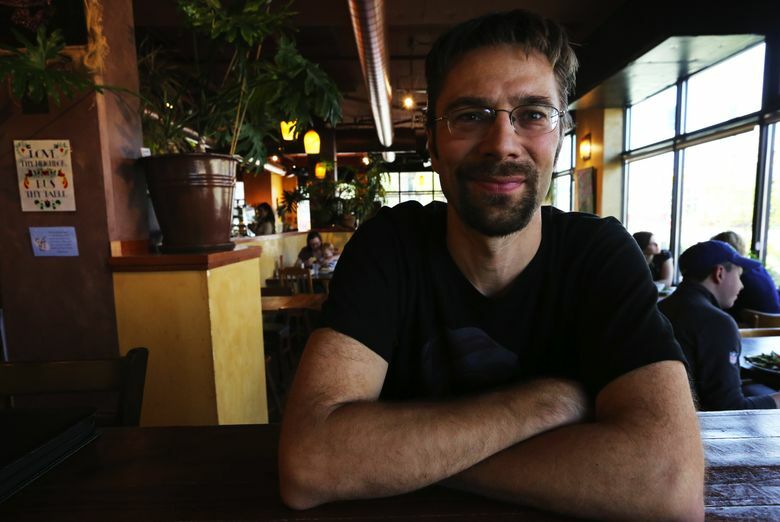 Chris Maykut, founder and owner of the three Chaco Canyon Organic Cafes in Seattle, agrees that the higher minimum wage will have some negative impacts and some businesses won’t be able to survive. The wage increase last year came at a bad time for Chaco Canyon. Expansion in the Greenwood neighborhood went way over budget, putting the business in danger of shutting down. Still, Maykut said he fully supports the ordinance. In recent years, he lost several employees who moved from Seattle or found better-paying careers just to keep up with the rising cost of rent. “A living wage — especially in radically transforming Seattle — is essential, and if it means the end of my business so be it,” he said.